Tinctus investigates the various ways in which a selection of artists reinterprets traditions of natural dyeing in their contemporary art practices. The experiences of material gatherings, pigment absorption, color associations and object manifestation, within natural dyeing are revisited and re-ritualized in creation of new significance to one self, the maker. These translations includes ikat weavings morphed into glitched imagery, to explorations of rust imprints as object remnants. Through this shared space Tinctus allows a re-dying of the coming from. 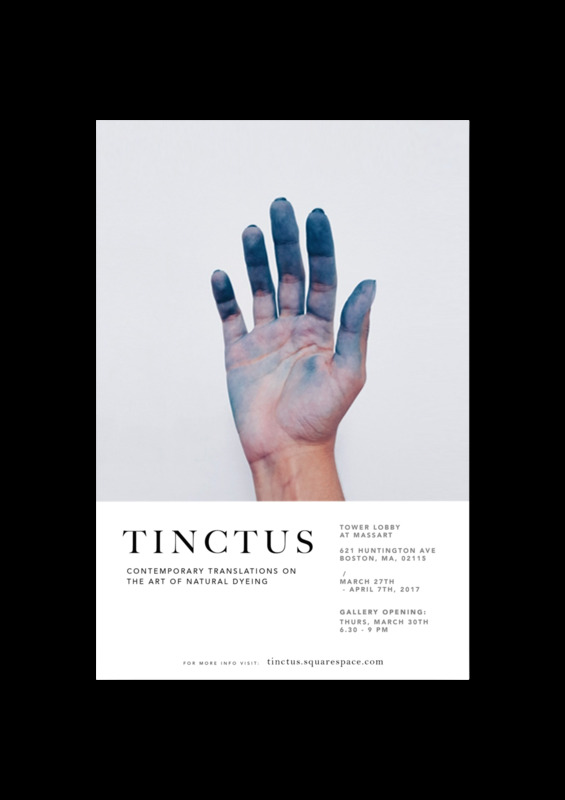 The Tinctus exhibition is brought you by artists, designers and crafts people studying in Massachusetts College of Art Design. A interdisciplinary group of students studying varying fields and forms of arts, from Fiber Arts, Art History, Industrial Design, Fashion Design and Studio for Interrelated Media.